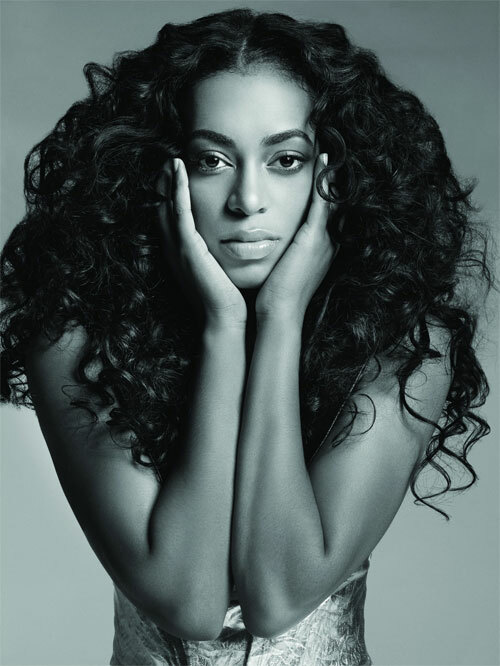 One of my favorite songs of 2008 was "I've Decided" by Solange Knowles, the much under-appreciated younger sister of Beyonce. Weeks ago, while driving around in freezing Chicago, my sisters and I had the song on repeat, LOUD. It took me a minute to figure out why I liked the song so much. The Neptunes-produced single takes the most delicious, feet-stomping part of The Supremes' "Baby Love" and loops it throughout. Solange's song--as is evidenced by the video-- is very much of this moment, my generation (not sure what we're being called these days), searching for some kind of identity. Colorful and pastichey, the piece pays homage to all that is in this generation's cultural imagination, and about the political culture of the Motown and beyond era. Quick flashes of raised-fisted Olympians from 1968, Malcolm X, people being water-hosed, Rubik's cubes spinning, and the Berlin Wall falling appear amid Solange crooning and the stomping beat. To make meaning of the video is work, a student of mine complained. There's a clear difference between the display of events being shown in the video for the Smokey Robinson & The Miracles' "Tears from a Clown." Its three sequences reveal a clear narrative of the cultural turmoil and grief experienced by the moments and movements surrounding the JFK and MLK assasinations, and the Vietnam War. "Smiling for the public eye," sings Smokey. "Don't let my glad expression give you the wrong impression." Very much a statement of the times--smiling outside but dying inside. I was born in 1979, a decade plus after those assassinations and a few years post-Vietnam. Smack dab in the birth of hip-hop and advent of an extreme right-wing, fiercely developing global capitalist world (not unrelated phenomena in the least). The stylistic elements of Solange's song and video are telling, in that they represent how I and most of us under 30s understand the events of Smokey's song. The song's pulsating claps and the video's refusal to distinguish between cultural-poltical turmoil and social fads mute any sadness we might have even had. What was most promising about Obama's candidacy, in fact, was the spark it produced in our populace, its positioning within the perfect storm of just enough right-wing ridiculousness, contradictions in capitalism, and technological-savvy. What a unique political moment! The generation that will come of age in it ranges from being once or twice removed from Motown and Smokey, devoid of the grief of Smokey's "tears," yet with an existence and way of looking at the world that has been shaped, in part, by them. It'll be critical that we, in our political activity, artistic endeavors, and social relationships, act in this world in a fashion that lets us appreciate the "best" parts of those old songs while keeping in mind the implications of the history and political moments that produced them. And yeah, I'm gonna be bumping some Solange as we do so. Tokumbo Bodunde is a Professor of Communication and Women's Studies at Manhattan College and William Paterson University. She also works for the non-profit filmmaking organization, Chica Luna Productions. Her documentary, "Black Girls Face: R. Kelly" was featured in the Reel Sisters of the Diaspora Film Festival. She will be presenting at the Women, Action & Media Conference near Boston next month. She blogs at Tokspace.